Omega-3 Fatty Acids May Help Stave Off Macular Degeneration : Shots - Health News Women who ate fish, a prime source of omega-3s, at least once a week were less likely to get age-related macular degeneration compared with women who ate fish just once a month, a new study finds. Eating a few mullet like these could be good for your eyes. If you're wondering about whether to boost the omega-3 fatty acids in your diet, there's some fresh evidence they could help your health. Women who ate fish, a prime source of omega-3s, at least once a week were less likely to get age-related macular degeneration compared with women who ate fish just once a month, a new study finds. 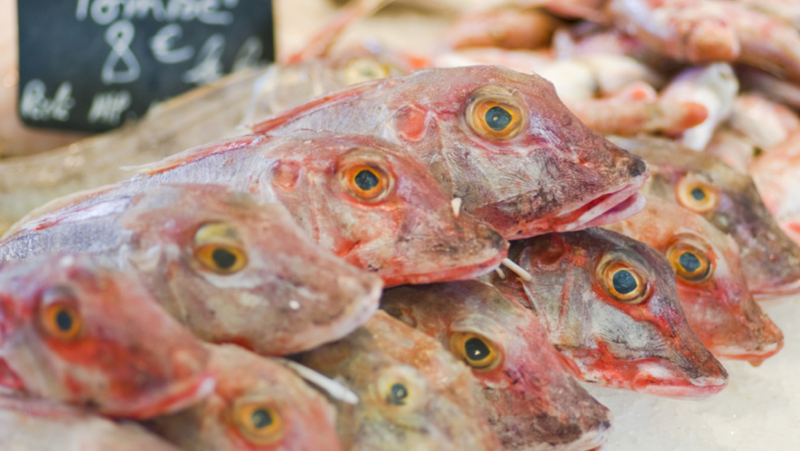 What makes this result different than those found in other studies looking at omega-3s and macular degeneration is that it looks the fishy stuff could be preventing the disease, a leading cause of vision loss in older people. Other studies have looked at whether omega-3s help slow progression of the disease in people with advanced cases. About 9 million people over age 40 have vision loss due to AMD, which damages the center of the eye's retina. The women who ate more tuna and dark-meat fish, like salmon and sardines, had 38 percent less risk of developing age-related macular degeneration. Darker, oilier fish have more of the long-chain omega-3s DHA and EPA, which have been associated with reduced inflammation. Inflammation is probably part of the disease process for macular degeneration, which destroys the central part of the retina crucial for vision. Shots called up William Christen, lead author of the new study and a professor of medicine at Harvard Medical School, and asked him whether it was time for us all to embrace a nice oily sardine-based lunch. "I don't see any downside of increasing fish intake," Christen said. Bring on the sardines! But he couldn't resist adding a professorial caveat: "But in order to strengthen a possible causal relationship, we need randomized trial data." Good point. Christen's study, published online in the Archives of Opthalmology, sorted through a lot of data: 39,876 women participating in the Women's Health Study. But it's not a randomized trial, and it relies on the women to report what they ate. So it doesn't prove that it's the oily fish that's reducing their risk of macular degeneration. Other studies are trying to nail down that link. A randomized trial looking at whether taking omega-3 supplements prevents advanced macular degeneration is currently underway, funded by the National Eye Institute. An earlier trial found that taking zinc and antioxidants reduced the risk of advanced age-related macular degeneration by about 25 percent. And Christen's group is starting a randomized trial on whether taking omega-3 supplements affects rates of cardiovascular disease and cancer. Bottom line: Christen says he eats "lots of tuna." Stay tuned for those randomized trials. But order up a tuna on rye.